If you’re looking for a valuable SEO insight or a handy tip, you can skip this article. What follows is nothing but pure technophiliac geekery, but it does relate to search engines – albeit in a somewhat roundabout way. I’ve been fascinated with the concept of Artificial Intelligence – true, self-aware machine intelligence – for decades. In fact I can tell you exactly when I became fascinated with AI: it was the day I saw the first Terminator film. Aside from it being a superb action flick, it was one of the first mainstream expressions of AI and it instantly captured my imagination. In those days, the mid 1980’s, there was still a strong expectation that computer scientists would soon crack the magic formula and we’d have true machine intelligence. The reality turned out somewhat different. Self-aware intelligence is a vastly complicated and enigmatic thing that we’re far from fully understanding. In fact, the more we learn about how our own human intellect functions, the more baffled we are and the more we realise how enormously difficult it is to duplicate it artificially. But we may inadvertently have started building the foundation of a human-type machine intelligence. Recent studies have shown that the structure of the human brain is very similar to the structure of the internet. Here’s where things get interesting. Up to relatively recent times psychologists and neuroscientists believed that human intelligence was more or less the same as human consciousness. That however turned out to be a flawed assumption. In fact there is a growing body of research suggesting that our consciousness – the thing in our minds we call ‘I’ – is actually nothing but a thin layer on top of a vastly more powerful, but unaware, subconscious mind. Consciousness is but the tip of an iceberg poking up from the waters of our brain, with the vast bulk of its capacity – the subconscious mind – hidden underneath the surface. There are strong indications that the subconscious mind, those thought-processes that by their very definition we are unaware of, are actually responsible for many, if not most, of our intellectual capabilities. Our subconscious mind might even be making most of our decisions. Our conscious mind, when confronted with these decisions that appear to pop up from the unimaginable depths of our subconsciousness, then takes the credit for having made those decisions. Yet what our consciousness is actually doing is scrambling after the facts and trying to make sense of what the subconscious mind is telling us. Now when we look back to the internet, we could in some way see the basic structure for an artificial subconscious mind as being more or less in place. We have this endlessly active and fast-growing network of computational nodes which are capable of some incredible information-processing feats. Now let’s talk search engines. Specifically, let’s talk Google. 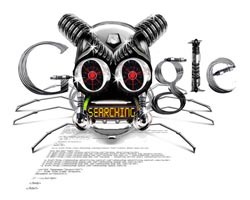 The Googlebot is continuously crawling the internet, indexing every bit of information it can. More so, it’s trying to make sense of this information, attempting to understand its meaning and how it relates to the search queries its users are inputting billions of times a day. And we, as SEOs, are helping Google by making the web more understandable and indexable. Google in many ways functions like a subconscious mind. It churns away day and night, immensely powerful and capable of astounding feats of computation, yet unaware of its own existence. What Google does is throw up search results – decisions – from the vast depths of its own intricate network, which can then he interpreted and used by us, Google’s users. In a way we, the human species, are Google’s consciousness. We receive decisions made by Google and then claim to be responsible for them via the power of our search queries, while in fact we have no bloody clue how these decisions came to be made. All that remains for an AI to be born would be for an artificial layer of consciousness to emerge. One might imagine that this is already happening in some way. After all, it seems very likely that should such a spontaneous AI emerge, we wouldn’t recognise it at first. In fact, we might view a newborn AI as a bug in the system, or even interpret it as a malicious virus trying to create an all-encompassing botnet. 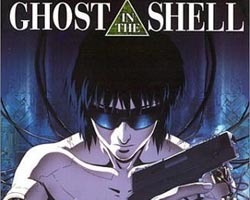 The 1991 Ghost in the Shell animé featured exactly such a scenario: an intelligence-gathering and manipulation program that became self-aware as it traversed the animé’s version of the internet, and whose efforts to achieve independence were interpreted as the actions of a rogue hacker. When you think this through, we may actually be hindering potential AIs from coming in to existence. We may be actively murdering emerging AIs with our anti-virus security software. Now, back to the real world, back to optimising websites and analysing Google’s algorithms. And by all means, keep that anti-virus software up and running. Can’t resist discussing any search stuff illustrated with anime! Sometimes I wonder if i am losing my free will to check email updates and RTs on articles. Who’s controlling who in that instant. Society at large or Twitter? Perhaps human beings are the virus? Maybe Google Instant & Facebook OG will become the sub-conscious mind of a connected society. Whilst i don’t think conscious robots can be achieved in the way you describe, you could have an odd situation with bio-metrics, where the future grid rejects users based on some sort of semantic profile. Whilst that still would not be consciousness in any sense, it would resemble consciousness. Being rejected from society by a machine would be defining psychological moment for humanity. And in many ways, resemblance of autonomy or emotion is as good as consciousness anyway – as the freaky humanoid robots have shown. As long as it looks cute and acts cute, we introject that it has emotion. It’s like the androids in Alien – they look conscious but they’re not, and instead just following a deeply embedded program. Or maybe self-awareness could evolve this way? A friend of mine once postulated that the county’s motorway system could become complex enough to become self-aware. He pointed out that nothing in the structure or activity human brain that we understand (so far) points directly to self-awareness or even consciousness. If we look at other systems in a completely mechanical way, who are we to say what might be happening on a level we can’t perceive? Barry, this is an excellent post. It really struck a chord with me when you said that the human brain is structured very similarly to the internet. Thanks for the insight. @Jonathan: you touch on some interesting points there. 🙂 First, I think that a large part of our consciousness is defined by the fact that it’s hosted in a physical body. I believe that for a human-type AI to arise and be recognisable as a self-aware entity, it should have some means of recognising its boundaries as a physical entity – i.e. it needs to be contained within a body, probably a robotic one (or, if we’re going Blade Runner [my fav film of all time btw], in an artificial human body perhaps). That’s why I think if AI emerges from the internet, we won’t recognise it. It would truly be an alien lifeform, in such that we could not relate to it in any meaningful way, and vice versa. Second, you say “resemblance of autonomy or emotion is as good as consciousness anyway” – this is truer than you might realise. 🙂 The same research that reveals the power of our subconscious mind also points to the possible absence of what we call free will. It seems humans really are biological machines and react to situations in predetermined ways, as ‘programmed’ in to us through genes and environmental stimuli. What we call free will is just that, a semblance of autonomy – not real autonomy as we’d like to believe. Personally I find this to be a rather uncomfortable thought and I hope it’s eventually proven to be false, but often science reveals truths that are uncomfortable and we wish weren’t so. P.S. Have you read any Peter Watts? @Ryan: glad you enjoyed it. 🙂 I wasn’t sure if this off-topic tangent of mine would be appreciated by the SEO community at large. >>>The same research that reveals the power of our subconscious mind also points to the possible absence of what we call free will. It seems humans really are biological machines and react to situations in predetermined ways, as ‘programmed’ in to us through genes and environmental stimuli….What we call free will is just that, a semblance of autonomy – not real autonomy as we’d like to believe. Personally I find this to be a rather uncomfortable thought and I hope it’s eventually proven to be false, but often science reveals truths that are uncomfortable and we wish weren’t so. You state in your article, I paraphrase, that the more we learn about our mind the more baffled we become by its complexity. For the same reason, I don’t believe that science has come close to providing a clear verdict on the subject of free will. What you are calling science here is actually philosophy. Philosophy that is based on interpretations of scientific discoveries, perhaps, but philosophy nonetheless. I don’t think when truths are revealed about our world and ourselves, that this is philosophy. On the contrary, it’s the purview of science. I don’t have a lot of patience with philosophy, as I think it’s the inadequacies of human understanding made manifest. Philosophy for me is the least pure of all thinking disciplines, dealing as it does with untestable hypotheses and linguistic games. if an AI (hard or soft)developed it would be informed by the human centric nature of the information on the internet and so not be really “Alien” – Ian M Banks discusses this when he talks about how the AI’s in the culture universe are effected by the cultures that develop them. @Maurice: good point, however that assumes that this human-centric information flow would steer this AI’s development towards human tendencies. I don’t think that’s necessarily the case. Like I said in my comment earlier, the limitations provided by our human bodies are, imho, a large part of how we define ourselves and how our consciousness works. An emergent AI on the internet would have a totally different perception of ‘self’, of its own body and its own boundaries, and as such may not at first glance be recognisable as a self-aware intelligence. 1) In your theory of subconscious developing over a vast period time with conscious relatively new. When translated to AI it could mean we are VERY far away from it reaching conscious. But I like the way you mention Google as those numbers make up for Milena in a very significant way and conversely we may already have AI consciousness. I agree it will be alien, just talking to chat bots makes me realize that. But it would be good to have some group looking for it similar to SETI (there may already be). Personally I think we DO already have AI consciousness, after all Human or other creatures dont seem to be too complex in their consciousness. Here I agree with nave on the free will thing (and the philosophy thing), ie are Humans really that special? 2) Barry I am of the opinion that consciousness can reside in a multi dimension. For example cockroaches only live few months and are 450 million years old. Lets say that one consciousness is actually say 1000 cockroaches that keeps replenishing itself in the life and death cycle making cockroach consciousnesses, lets say they live to over 1000 years each. 3) Dan Simmons describes a good future AI version in his Hyperion series. 1. I don’t think humans are particularly special in any sense. In fact, consciousness has not been around long enough, from an evolutionary point of view, to have proven its value as a biological trait. Indeed, it may turn out that consciousness is detrimental to a species’ long term survival. 2. Interesting concept. A favourite sci-fi author of mine with some pretty mindbending ideas about consciousness is Peter Watts. His Blindsight novel is my favourite SF novel of the past decade – easily – and his short story The Things (based on the film The Thing) has a pretty fascinating angle on biological consciousness as well. 3. Agreed, Simmons’ TechnoCore distributed through the Farcaster network – and later through the crucifix in the Endymion books – is a solid AI version. P.S have you been to CADIE’S website (Google’s AI)? Hehe… I made my comment before reading this one (re Blindsight). I thought the ideas were very similar! I think it’s important to distinguish consciousness and self-awareness, however (as he does in the book). Consciousness has been around for a long time, and I think has been shown to be an important survival trait. Almost all higher animals are conscious. Yes you’re right, consciousness as such (awareness of one’s existence as a being) is a trait that’s probably been around for millions of years. Self-awareness – what I call consciousness in the blog post – is that latest addition to the human mind, that self-analysing, energy-wasting, pleasure-seeking higher consciousness that distinguishes humans from most of its animal peers (with the few exceptions you mentioned). The two words do get used a bit interchangeably (I know I’m guilty), but I think it’s worth making the distinction, even if it’s a bit arbitrary which you call which! Pleasure seeking is a successful evolutionary trait that’s been around for a long while (just think of cats lying in the sun). The problem we have with it now is that we are no longer suited to our environment (or vice versa), so a lot of our natural and healthy instincts (such as seeking pleasure) cause us more harm than good. The real problem is the endless running commentary we have in our heads (what we call “I”). Interestingly, pretty much the whole point of Buddhism is putting an end to that, to enable us to exist purely in the present. Have you read Blindsight by Peter Watts? You should if not… I won’t tell you why or it would ruin the point ;). Anyway, I really come to believe that our conscious mind just gets a memo after our subconscious has made a decision. What we call “I”, if such a thing even exists, is just a thin paste smear over a mass of architecture stretching right back to the dawn of the first synapse. Sounds like i should read Blindsight! Magpies are self aware?? Aye, it’s awesome, although I actually prefer his debut novel and it’s sequel (Starfish and Maelstrom). They’re more about crazy biology though, although there is some nature-of-consciousness stuff in there as well. And yes, magpies recognise their own reflection, which is a key test for self-awareness. They’re one of the most intelligent animals — they’ve got complex social behaviour, they can learn to use tools, they can count, they mourn dead partners, etc. Enter in the antichrist and the beast.